1. One of our ultimate favourites is one that has been named the nation’s favourite retro sweet many a time. Flying Saucers are an all time classic and really are out of this world! Not only do they look absolutely delicious, especially displayed in a glass sweet jar for a true traditional feel, but they taste just as great too. Filled with tongue-tingling zingy sherbet sure to make your eyes water, these explosively fruity treats are a go-to whatever the occasion and if anything, are near impossible not to scoff all at once! 3. Another favourite in the world of Retro Sweets are Sherbet Fountains. Yet another tuckshop classic, these were a true after school must-have and something many of us are sure to remember spending our pocket money on! The mix of rich liquorice and mouth-wateringly tangy sherbet is simply unbeatable and we don’t think these will ever get old. Beware though - you will end up head to toe covered in sherbet…its all part of the fun! 4. Fizz Wizz are another brilliant option if you’re looking for Retro Sweets that are great fun to eat. Also known as Space Dust, this really is a sweet that everyone must try at least once and promises lots of explosive fun! Perfect for a small gift for the kids or to try gobbling all at once, this really is one of a kind. Here at Keep It Sweet we also like mixing up our baking with a bit of Fizz Wizz - a little bit of this on a cake is sure to give it the extra special twist to make it stand out. 5. Next on our favourites is another retro sweet that looks just as good as it tastes, if not better! Candy Necklaces are every sweet-loving fashionista’s dream and are one of the only retro sweets that you can wear and eat. Simply nibble a bit off whenever you need a quick sugar fix and you’re onto a winner! Why not buy a bulk bag of these for the perfect fun sweet wedding favours? 6. 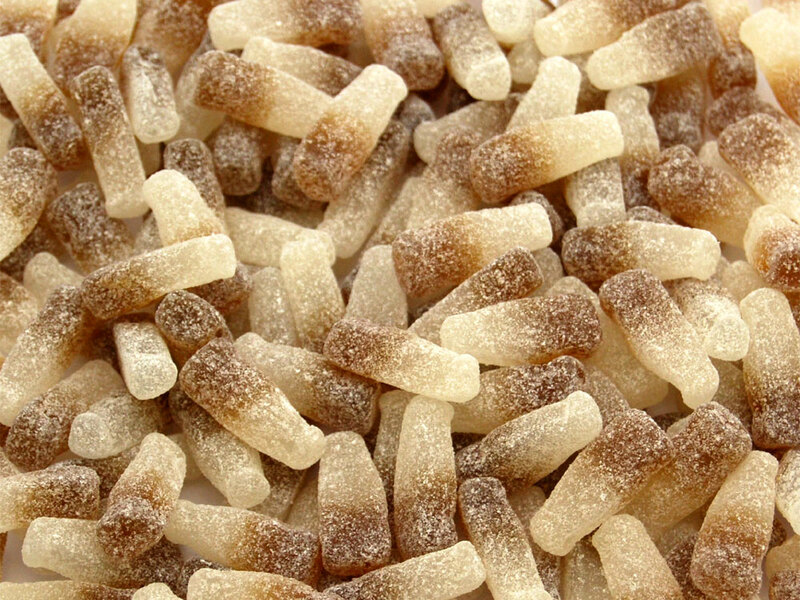 Fizzy Cola Bottles are not just one of our favourites - but a favourite of millions of people across the world. Packed with a mouth watering tang, these delicious sour treats are sure to put a smile on anyone’s face and are perfect for all cola addicts out there! We also have Fizzy Cherry Cola Bottles if you fancy mixing it up, along with giant ones which will satisfy an even bigger sweet tooth. 7. 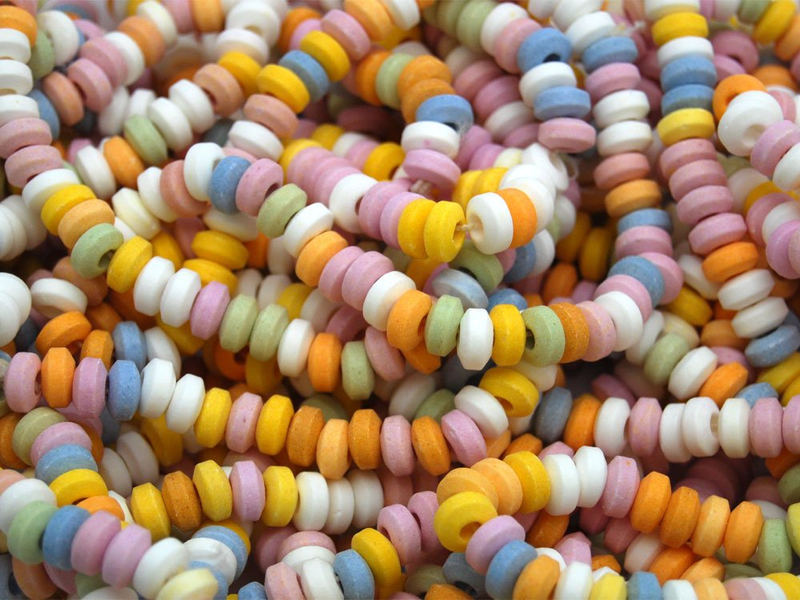 Amongst our top 10 Retro Sweets must be a few traditional classics. Lemon Sherbets are filled with nostalgia and are one of the most more-ish sweets around. Perfect for a quick sugar fix on the go or a great after dinner treat, you cannot go wrong with these old school delights. We also offer Blue Lemon Sherbets and can even make Lemon Sherbets to match your corporate colours for a fun and unique marketing tool that is sure to make your brand stand out from the crowd. 8. Or maybe Retro Foam Mix is more of your cup of tea? Consisting of Shrimps, Fried Eggs and Bananas, these Retro Sweets are so deliciously foamy and melt in your mouth like a dream. You can also buy each of these separately but we like them all together into one for ultimate choice! 9. Another of our favourites which has been around for probably longer than we have is Rhubarb and Custards. Arguably the mother of all boiled sweets, the mix of warm custard combined with the sharp tang of rhubarb is one that cannot be beaten and is the best sweet to brighten up a day. We also have Rhubarb and Custard Bon Bons, along with Rhubarb and Custard Pips and even Rhubarb and Custard Space Pencils for a fun twist on this old classic. 10. The final Retro Sweet on our top 10 list is a controversial one. Parma Violets are the most famous love them or hate them sweet out there and we LOVE THEM! Just like marmite, these violet flavoured sweets have caused a long standing rift amongst sweet lovers for decades, but they’ve got to be tried at least once by everyone - who knows, they may become your new fave! View our full range of Retro Sweets here.